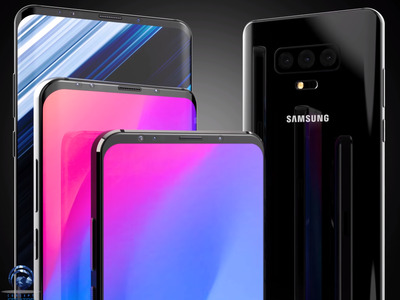 Rumors surrounding the Galaxy S10 suggest some significant changes are coming to Samsung's flagship Galaxy S lineup in 2019. Some of the rumored changes include a total redesign, improved cameras, and new bleeding-edge features. It's tempting to believe every rumor, especially if it comes from notable and previously accurate sources, but we won't know for sure until Samsung's official announcement, which is scheduled for February 20. Samsung's next-generation Galaxy S10 could deliver significant updates in design and features to the South Korean smartphone manufacturer's flagship line of premium phones. That's what the rumors are suggesting, at least. Even Samsung's mobile-business leader, DJ Koh, has chimed in to hype up the next Galaxy S smartphone. If the rumors are accurate, we should expect a pretty significant overhaul in the Galaxy S10 lineup that could see the adoption of new technologies, next-gen specs, and a more modern design. 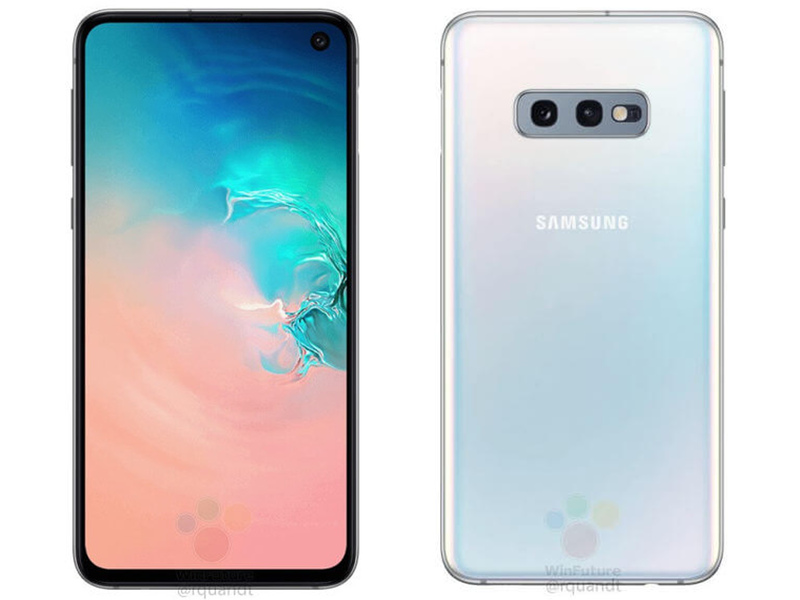 The rumors paint a futuristic vision of the Galaxy S10's looks. We'll see exactly what Samsung's been up to this last year when the company hosts its 2019 Unpacked event on February 20, which is where Samsung usually unveils its new Galaxy S flagship devices. 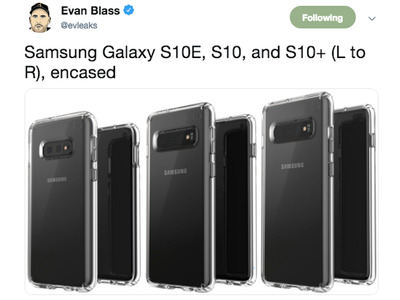 There will be four models of the Galaxy S10, including the Galaxy S10 "E," regular Galaxy S10, Galaxy S10 Plus, and a Galaxy S10 "X"
The Galaxy S10 "E" is said to be the less expensive model of the Galaxy S10 lineup, much like the iPhone XR is the less expensive version of the iPhone XS. The Galaxy S10 will be the standard model. The Galaxy S10 Plus will be similar to the standard Galaxy S10, but with a larger display, a few extra features, and potentially more spec options. 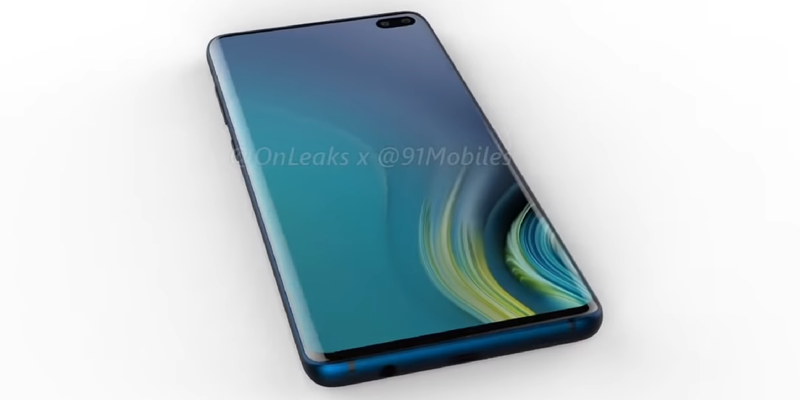 The Galaxy S10 "X" is apparently an ultra-high performance, everything-and-the-kitchen-sink type of phone that will have various extra features over the standard and "E" models. Galaxy S10 E: Thicker bezels than the rest of the lineup, much like the iPhone XR and its thicker bezels compared to the iPhone XS lineup. Several color options might be available, one of which appears to be a yellow option, as per the latest rumor. Galaxy S10, S10 Plus, and S10 X: Bezels will be thinner than any previous Galaxy S device. Will be available in a pearly white or black. Galaxy S10 E: A 5.8-inch display that's potentially flat with Samsung's Infinity O punch-hole for the camera. Galaxy S10: A 6.1-inch display with curved edges and Samsung's Infinity O punch-hole. Galaxy S10 Plus: A 6.4-inch display with curved edges and Samsung's Infinity O dual punch-hole. 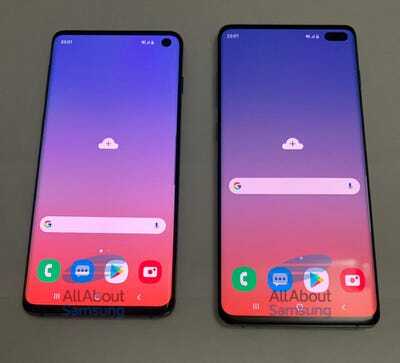 Galaxy S10 X: A 6.7-inch display with curved edges and with Samsung's Infinity O dual punch-hole.